Music is a part of the worship and life at Christ Church. The choirs play a significant role in our liturgy and worship, both by leading congregational singing and presenting anthems appropriate to the Scripture lessons appointed for the day. Four choirs regularly perform at both Sunday Services and special services. This all-volunteer choir is open to all singers age 14 and above. 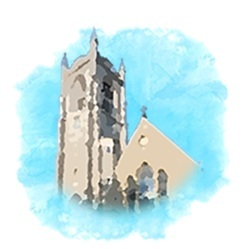 The Adult Choir sings regularly at the 11:00 a.m. Sunday Service during the year, as well as special services like the Festival of Nine Lessons and Carols, Evensongs, and weekday services as required. The Schola Cantorum is open to all children ages 7-14. The Schola Cantorum sings regularly at the 9:00 a.m. Sunday Service during the year. Through regular rehearsal, these young choristers not only build a repertoire of anthems to be used during the Church year, but they also learn to use the Hymnal and the Prayer Book, and gain a lifelong appreciation for music. The Royal School of Church Music provides the curriculum through its Voice for Life program, used worldwide to great success. The Chorus Angelorum is open to young women ages 14-21. The Chorus Angelorum sings about once a month at either the 9:00 a.m. or 11:00 a.m. Sunday Service. Open to musicians age 14 and above. The English Handbell Choir performs about once a month at either the 9:00 a.m. or 11:00 a.m. Sunday Service. The Evensong Series at Christ Church Glendale was begun in 1986. We are pleased to present the beautiful service of Evensong in the Anglican tradition, with some innovations. Each service begins at 5:00 PM, and concludes with fellowship in the Olivia House parish hall. Other opportunities to hear our choirs contribute to the worship and ministry of CCG include Christmas Eve, Ash Wednesday, Maundy Thursday, and the Easter Vigil (Saturday evening before Easter Sunday). The Choirs are invited to be Choir in Residence at Winchester Cathedral and Westminster Abbey, England in 2019! The Adult Choir and Chorus Angelorum have been invited to be the Choir in Residence at Westminster Abbey and Winchester Cathedral from Monday August 5 to Sunday, August 11, 2019 while their choirs are away for the summer. While in Winchester and Westminster, the choir will sing Evensong daily during the week, as well as at three services on Sunday. This will be the choirs’ fifth pilgrimage to England, having been Choir in Residence at Wells Cathedral in 2007, Worcester Cathedral in 2010, Durham Cathedral in 2013, and Canterbury Cathedral in 2016. Christ Church is home to the Hilborne Roosevelt Organ, Op. 25: 1876, installed by Mathias Moeller in 1911. A new console was installed by Julian Bulley in 1999, including the Artisan Console Control Computer with 25 levels of memory and solid state combination action. The organ includes forty ranks, with a total of 4800 pipes. For more information on this organ, please go to http://www.cincinnatiago.org/wp-content/uploads/2012/10/christglen.pdf. 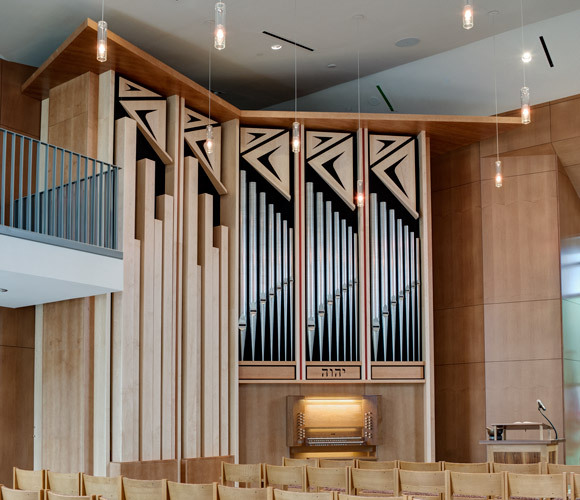 The organ in the Chapel of the Holy Spirit was built by the C.B. Fisk organ company. Opus 146 resides in one corner of the space. Charles Nazarian’s angular 5-compartment case design features the Great Principal 8′, made of hammered spotted metal, and the Pedal Violone 16′, constructed of solid maple. The Great and Swell divisions occupy the right-hand portion of the case, the Pedal the left-hand. The console is attached and centered on the right side, offering a good line of sight between Organist and Choir. For more information on this organ, please go to http://www.cbfisk.com/instruments/opus_146. Music Live with Lunch is a series of free public concerts on the second Wednesday of each month. All concerts begin at 12:05, and last about 25 minutes.